Victoria is the scenic capital of Canada’s British Columbia province. This vibrant city is populated by just under 100,000 people and is famed for its vast range of beautiful Victorian architecture and lush parklands. 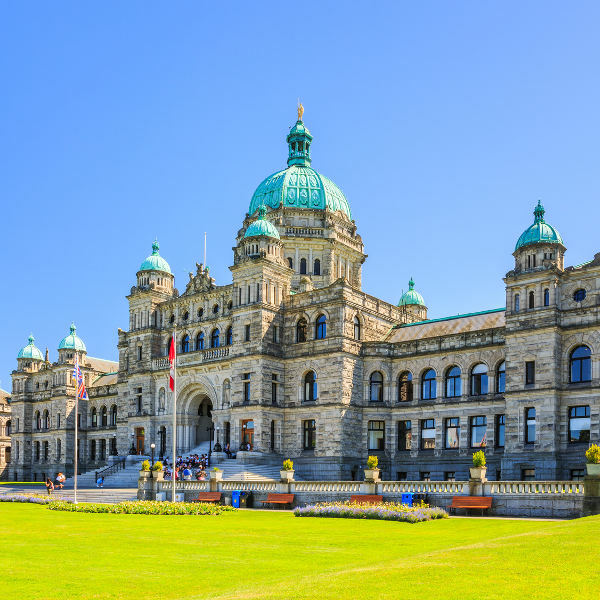 Victoria’s main tourist attractions include the Gothic-styled Christ Church Cathedral, the famous British Columbia Parliament Buildings and the beautiful Butchart Botanical Gardens. Cheap flights to Victoria are now available for a limited period of time, so get ready to explore the historically beautiful garden city! Victoria is home to the Victoria International Airport (YYJ) which is a 20-minute drive from the city centre. 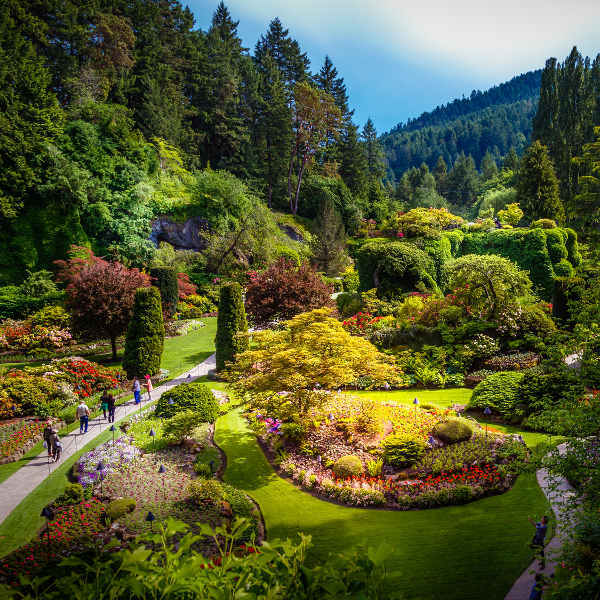 Drift into a magical world as you stroll through the vivid colours of floral arrangements, beautiful statues and impressive water features in the renowned Butchart Gardens. Admire the beautiful mix of architecture in this unique city, like the majestic British Columbia Parliament Buildings, the Gothic-styled Christ Church Cathedral and the Victorian Craigdarroch Castle. 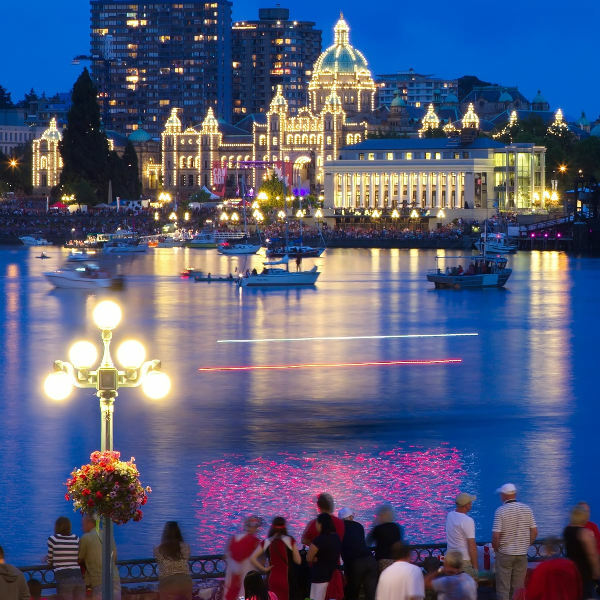 Victoria’s inner harbour and downtown offers inviting restaurants, pubs and trendy night clubs to enjoy. Take a ferry ride along the water, pub hop, or just relax on the waterfront. With its mild, warm Mediterranean climate, summertime (between June and August) is the peak tourism season in Victoria. It is a great city to visit in spring between the months of March and May, or in autumn between September and November. During spring, clear sunny skies light up the beautiful city landscape and everything is in bloom. This is the perfect time to visit the renowned Butchart Gardens, enjoy the floral arrangements, statues and water features or take a ride on the rose carousel. Between September and November, rainfall increases and temperatures begin to drop. But it is off-peak season in the city, therefore air fares, accommodation rates and tourist presence in the city is lower. The weather conditions will still be fairly pleasant and there are multiple annual events to enjoy, such as the Victoria Fringe Theatre Festival and the Victoria Classic Boat Festival. Both take place from August to September. Victoria is the incredibly scenic capital of the British Columbia province in Canada that is a modern, vibrant city and a hub for Victorian history and culture. Explore the Gothic-styled Christ Church Cathedral and the astoundingly beautiful British Columbia Parliament Buildings or watch the Victorian era come to life on a tour of the famous National Historic Site, Craigdarroch Castle. Built by the wealthy coal baron, Robert Dunsmuir, during the reign of Queen Victoria in the 1890s, the tour of this castle will give you a glimpse into the past lives of the privileged and wealthy. Just a few kilometres out of the Victoria city centre, the renowned Butchart Gardens attracts over a million visitors. A stroll through the magical garden will transport you to a world of fantasy with the vivid colours of floral arrangements, statues and water features. Victoria’s inner harbour and downtown hosts inviting restaurants, pubs and night clubs to enjoy. Take a ferry ride around the harbour and experience the amazing view of the city from the water or sit down and relax at the waterfront while you treat yourself to a local dish like shepherds-pie or other unique eats. Compare several airlines, and book your cheap flights to Victoria with Travelstart! It is essential that your routine vaccines that include the MMR vaccine, DPT, Chickenpox, Polio and yearly flu shots are updated before travel. Victoria is a fairly safe city, however, it is wise to practice normal safety precautions. Keep your valuables and important documentation safe and watch out for petty crimes like bag-snatching or pick-pocketing. Keep an eye out for aggressive begging tactics among vagrants and avoid confrontation with them. Even though a major earthquake is unlikely, Victoria is still an active seismic zone. In the event of an earthquake remember to find cover, stay where you are throughout the quake and to only go outside once the shaking stops. It may be a good idea to take out travel insurance.